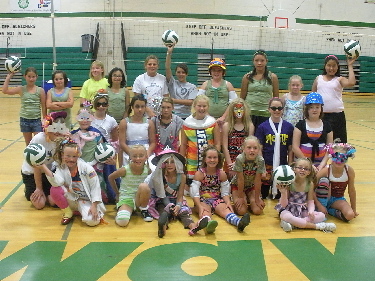 Churchill County Parks and Recreation is happy to bring you their annual youth volleyball camp. Grades 4th to 7th are invited to compete and train in the fundamentals of Volleyball during the summer. Instructor Jennifer Buckmaster will help get the youth prepared for upcoming seasons. Either competitive preparation or summer recreation, all youth will benefit from this valuable camp! Price: $50 per person for one session or $80 for both sessions. All participants will get a camp tank top and a volleyball of their very own.